WILLEMSTAD - Humphrey Davelaar resigns. The leader of the historical PNP party was unable to get a seat during the elections on Friday last week. For the first time in almost 70 years, the People’s National Party are no longer represented in parliament. The green party lost more than 3000 votes to former Suzy Römer, leader of the new PIN party. The former Prime Minister of the Netherlands Antilles and former Minister of Traffic, Transportation and Spatial Planning got one seat. 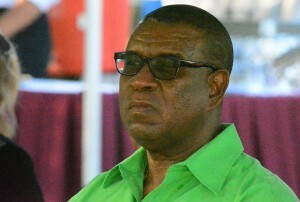 Also second man and former Minister of Justice, Ornelio Martina left the party after the devastating defeat.